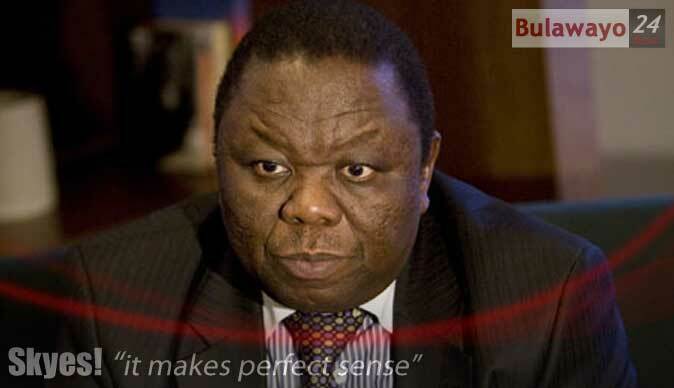 Morgan Tsvangirai used a state visit to the United States to find ways of ousting Robert Mugabe, a confidential cable released by whistle-blowing website WikiLeaks revealed. The PM had travelled to the US with a delegation comprising Zanu-PF's Tourism and Hospitality Industry Minister Walter Mzembi. Mzembi was barred from discussion with US officials including President Barack Obama. The confidential cable entitled "A/S CARSON'S MEETING WITH BOTSWANA'S VICE PRESIDENT MOMPATI MERAFHE TRIPOLI" released last week quotes United State's chief African diplomat, Assistant Secretary Johnnie Carson confirming the meeting and insinuating that it would be difficult to remove Mugabe. Carson met with PM Tsvangirai during the visit and the White House barred the media from asking the Zimbabwe delegation any questions after the meeting even though it had earlier been announced that a question and answer session with the Press would follow the discussions.. The confidential cable read: "Carson noted that POTUS saw Zimbabwe Prime Minister Tsvangirai during his recent travel to Washington, and said that helping the Prime Minister without aiding Mugabe will be a challenge. The cable also reveals that the US government was working directly with non-governmental organisations in Zimbabwe to effect regime change. "Carson also said that the USG (US Government) would ... continue to channel foreign assistance... through non-governmental organizations." "USG... democracy and governance programs in Zimbabwe will all continue under the USG foreign assistance program. The Unied States also wanted to use the regional Southern African Development Community (Sadc) to "increase pressure on Zimbabwe for Mugabe to exit". During Tsvangirai's visit, President Obama referred to a "partnership with Prime Minister Tsvangirai" instead of with the Government of Zimbabwe. During Tsvangirai's visit President Obama announced that his government would be giving US$73 million to selected non-governmental organisations. The cable also quoted Botswana vice president Mompati Merafhe revealing that Botswana was "struggling" as a result of "the global recession, citing high-end tourism and the diamond industry as particularly hard hit." "As part of a larger effort to save jobs in the industry, Botswana has had to close one diamond mine due to decreased sales and lower prices." The cable also made an interesting observation that the Botswana government would be maintaining an 80% stake in any diamond mining in the country.